Board and batten are becoming more popular in home renovations, especially when installing wall dividers and partitions. More and more people are using board and batten to decorate their homes with – they’re not just for building anymore! Check out some great ideas for ways you can use board and batten in your next DIY project or home makeover. Decide how high you want the panelling to come to and measure out along all the walls you want the panelling to be. Make sure to keep it straight! Then mark space for the downward panelling – keeping them evenly spaced apart by measuring each one. Once it’s all marked out in pencil you can attach the boards and batten by nailing them to your chosen wall. If you’re stuck for how to keep them evenly spaced, you can always nail them to the studs which should be evenly spaced behind the plasterboard. Once you have all your boards in place, you can then paint it your desired colour. You can achieve so many different looks with this technique, it all depends on how you lay your wood out. For instance, you could have floor to ceiling panelling in one room, or you could have the beams going horizontally instead of vertically. It’s completely up to you and whatever look you’re after in your home. You can also create ‘boxes’ with the batten and have a more modern panelling look, by crossing your battens over one another at even intervals. This look is so versatile and can be painted. Or you could paint the wall visible in between the wood or hang pictures. The list goes on and on and you really can’t go wrong. Another brilliant idea for using board and batten is to create a headboard behind your bed. 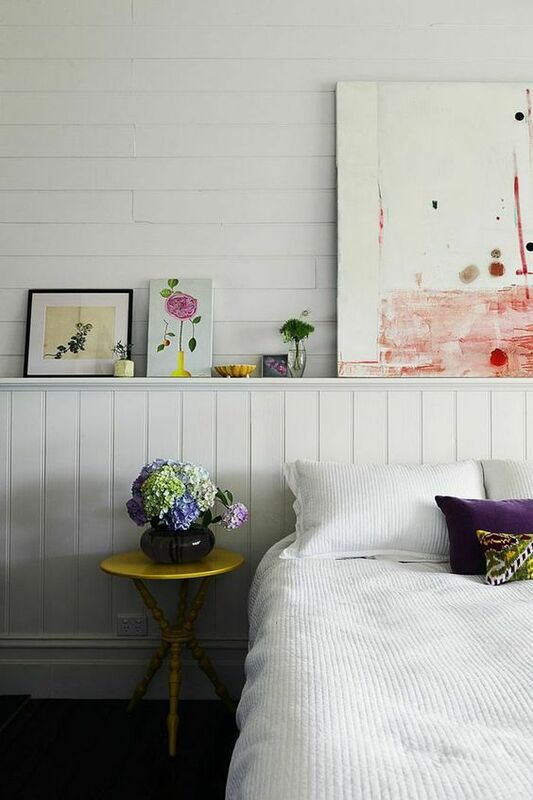 By creating the panelling effect described above, but without leaving any gaps, you can have a really unique headboard. Just measure out the width of your bed, how high you want it to come up and then attach the boards. This works best if you place all the boards next to one another, but you can create two ‘boxes’ and use these spaces to hang headboard pillows. Again it’s completely up to you how you design it, that’s what’s so great about these materials. 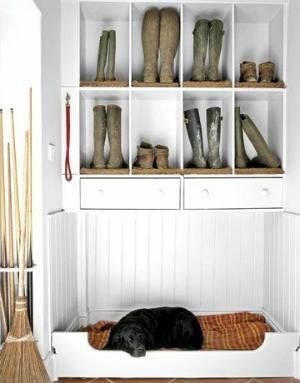 Boards and batten can also be used to create a cosy DIY bed for your dog or cat – simply use the batten to make a frame of your desired size and use some board to make the walls/ceiling if you’re going for a full house! You can then paint it or cover it with a fabric if you would prefer. You can also use this technique to make a child’s playhouse. By making the frame out of batten and then using the boards to make the walls. You can get your child involved by letting them paint it at the end. 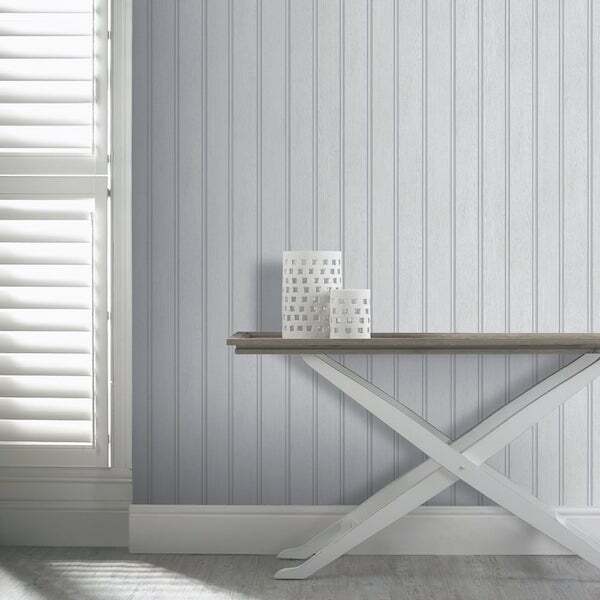 The only limit with board and batten is your imagination – they’re just so easy to do so many things with when you brainstorm your ideas with a professional plasterer in Melbourne.